Average Weight	: 45 - 80 lbs. The Treeing Walker is a descendant of the English Foxhound, which Thomas Walker imported to Virginia in 1742. Sometime in the 1800s, a dog known as "Tennessee Lead," a stolen dog of unknown origin, was crossed into the Walker Hound. He was a powerful dog, excelling in game sense, drive and speed, and having a clear, short-chop mouth. The Treeing Walker was not recognized as its own breed until 1946. This direct lineage brings us this efficient hunter. 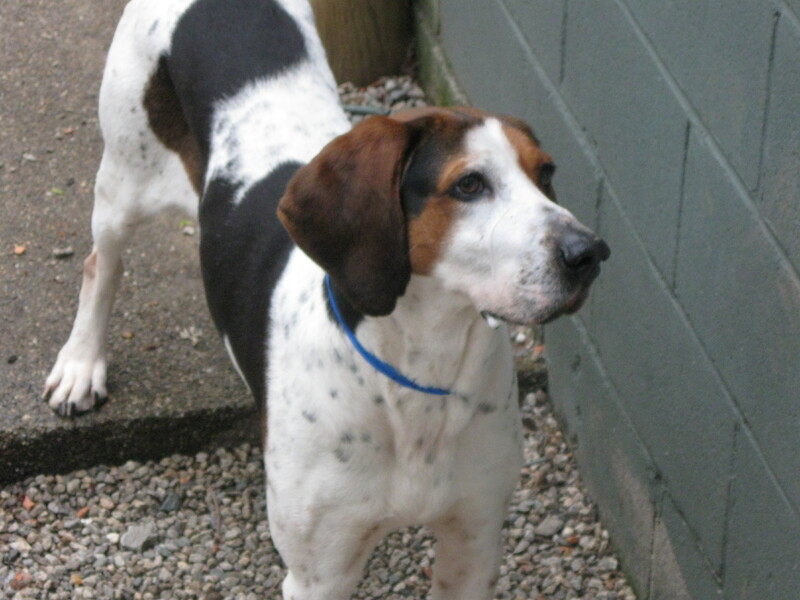 This coonhound has retained the looks of its ancestor, the English Foxhound. An underlying sense of game coupled with untiring speed and manly drive make this coonhound unstoppable. The coonhound lineage doesn't really stop at the Walker, for American hunters also employ other varieties as well. One such coonhound is known as the Running Walker. The Treeing Walker Coonhound is an efficient and reliable hunter of raccoons, squirrels and opossums. The Treeing Walker "trees" its prey, and can then sometimes virtually climb the tree to get at it. With a little training, however, it will merely bay its distinctive howl, telling the hunter that the prey has been cornered.